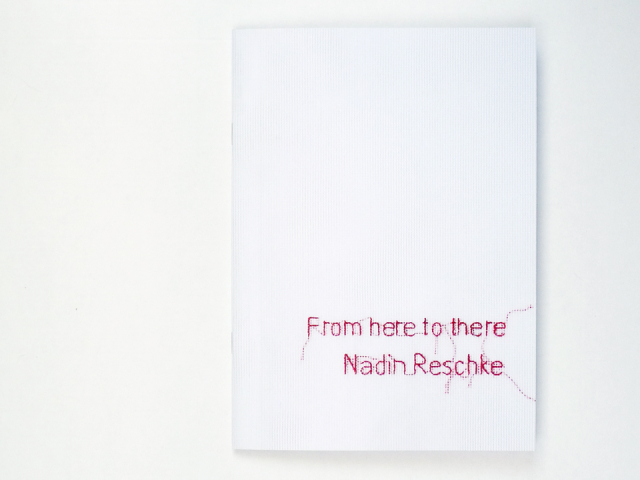 Catalog for artist Nadin Reschke, weaving together her works in many different media, from drawing and video to embroidery and participative processes. 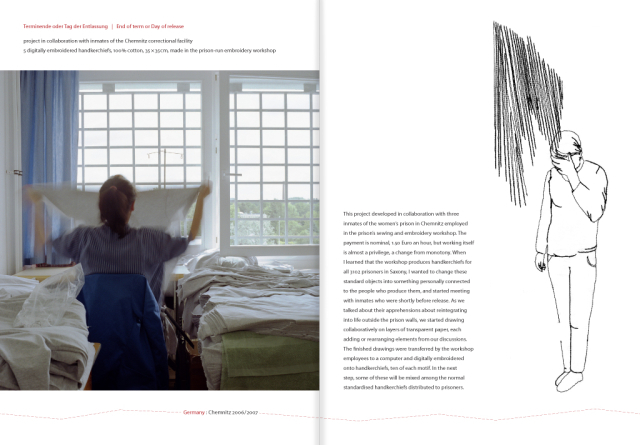 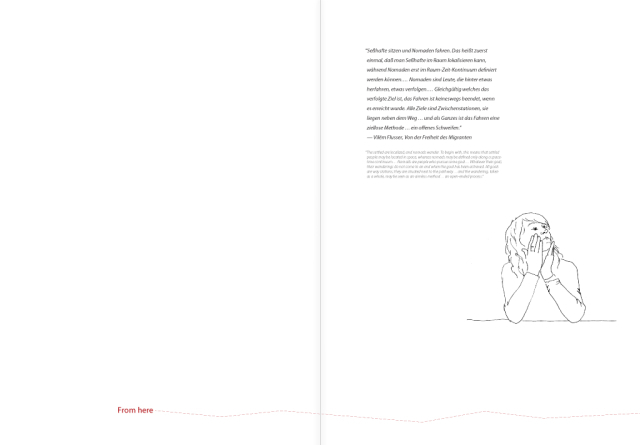 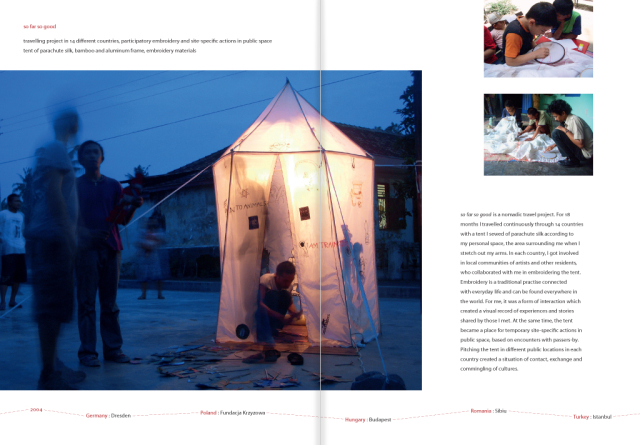 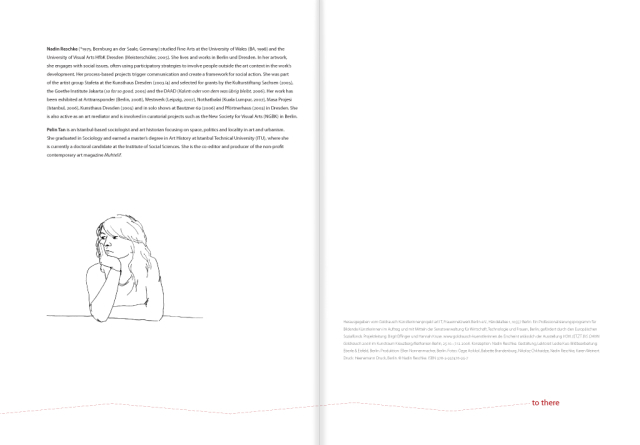 Because travel is a major part of Nadin’s work and each project in the catalog was made a different place (or several places), I drew a red thread along the bottom of each page, visually connecting the locations. 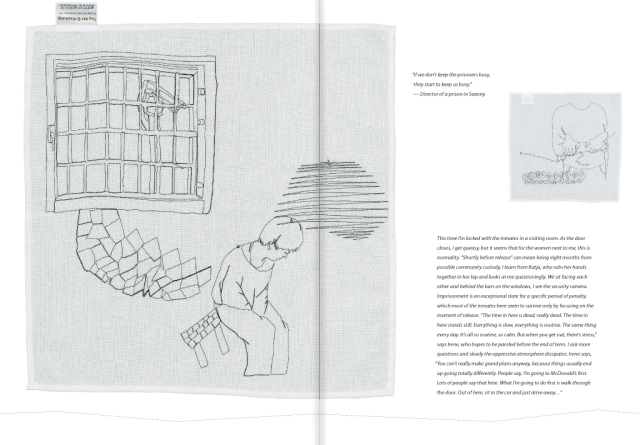 The stitches create a path from one place, and one project, to the next: from here to there.